We're on our way. Subject to future funding, this is the start of the next stage of our journey to cross the digital divide. There are a couple of blogs on our site about things that you might like to check out. Your hearing? Your future plans? 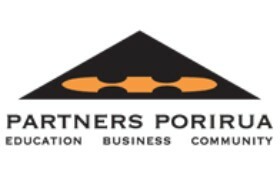 Check out what Partners Porirua are doing to help secondary school students who can do with help to choose their future direction. This amazing showcase of young, talented opera singers is back for 2017. If you go here, you'll find out how to secure your ticket/s. With the best-laid plans in place, something you didn't expect can pop into your bucket list out of the blue. An invitation! Come and visit our pop-Up Shop from 13-19 November at 17A Hartham Place in Porirua. We'd love to see you. It's often hard knowing what to buy for that special someone. You can get gift vouchers for the Garden Trail from the Plimmerton Rotary Pop-Up Shop from 13-19 November. So many exciting events to go to and an equal number of opportunities for you to post your upcoming event. Original generation time 2.1974 seconds. Cache Loaded in: 0.0560 seconds.